You are here: Home / Business Skills for Artists / Is an Art Show Ever a Bad Idea? How do you know if that art show is going to be worth your time and money, or if it’s going to be a total dud and a drain on your resources? Doing ample homework ahead of time (start with our list of the top 9 fine art shows across the country) will reduce any anxiety you may feel about whether the show is going to work out in your favor. 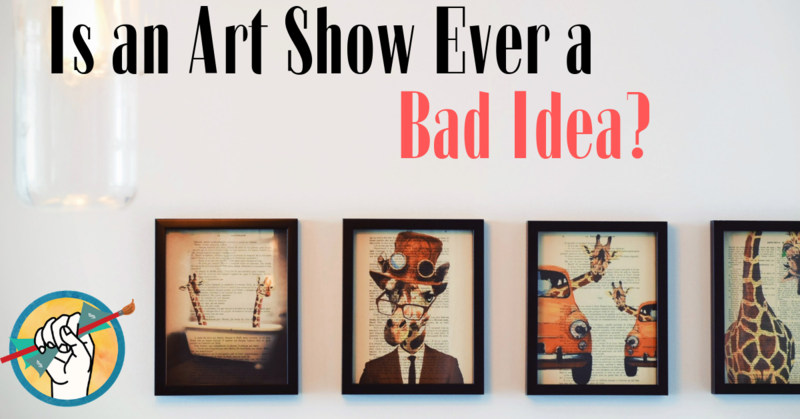 Here are some signs that your art show experience may not turn out as you hope. If you check off too many of these boxes, you may want to reconsider exhibiting in the show and wait until either you’re better prepared or a better show comes along. You don’t know how to communicate your message or vision yet. You need to know how to tell your story in a compelling way. Not sure how to do this? Learn how to create raving fans by telling the story of your art. You don’t have at least 10 original pieces ready to sell. You don’t have a consistent series to show. A body of work with a consistent theme/style is extremely important. Find out why you need to create work in a series. You haven’t nailed down your pricing. Lay the groundwork for a successful show with solid pricing that reflects your value. 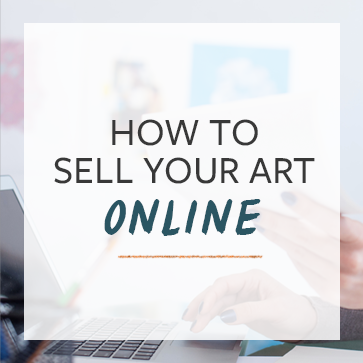 Here’s more on how to price your art. All the other exhibiting artists are high above or below your experience level (and it shows). A casual Christmas arts & crafts bazaar won’t be a good fit for you if you’re looking to show in national galleries. It can, however, be a great and less intimidating start for a new artist without much experience showing or selling. The theme or medium doesn’t match your work. Read more about how to find out if an art show is a good match for your work. A helpful way to start is to determine whether your work belongs in an art show or a craft fair. The show is very expensive and you’re on a limited budget. There are quite a few hidden costs associated with showing your art. Make sure you know how much an art show is going to cost you, and whether you can afford it. If you’re going to take a gamble on an expensive show, you need to be well aware in advance that you are taking a risk, and plan accordingly. They’re not advertising much or at all. A good show doesn’t just advertise- they advertise to the right audience. They don’t support exhibiting artists. A good show will have ample communication, a clear method of transacting sales, a clear explanation of what they provide vs. what you’re expected to provide. They may or may not take a commission on artists’s sales, but whether or not they do should be clear ahead of time. They’re brand new and nobody knows about them yet. On its own, this isn’t necessarily a bad sign. Every show has to start somewhere. But seasoned artists who are very selective about the shows they choose to attend tend to avoid new shows until they’ve found their feet. The gossip isn’t good. Ask around in person and online: does the show seem to carry a high amount of drama? Do too many artists have horror stories of bad experiences with the show? Setting a clear expectation for yourself from the very beginning of an art show will ensure that you don’t waste your precious time or money on a dud. Once you’ve decided that a show is a good fit for you, make sure you understand the basics of salesmanship like confident body language and active listening. Have you ever attended a show that turned out to be a dud? What did you learn from the experience? We want to hear your stories, so let us know in the comments!